Leading cabinetry manufacturer MasterBrand discloses 5 major trends that will be making waves in the world of kitchen and bath design this coming year. Whites soften and open up a wider range of off-white and taupe. White remains a strong primary color for kitchens and baths, however as we start to see more wood grain come back into kitchen design trends, stark whites can sometimes be a sterile contrast, while dusty or dirtier whites will have stronger impact as new styling trends emerge. Omega Cabinetry just launch 4 new off-white opaques (Elemental White, Beach House, Meteor and Colonnade) and Diamond Cabinetry brings out a Lamb’s wool finish that all showcase the direction of this trend towards more color saturation in white-based tones. The styling currently associated with farmhouses and weathered wood elements remains strong throughout 2018. The tones and textures supporting these design elements have broad appeal due to their neutrality, simplicity and authentic design. Decora Cabinetry is launching a collection of farmhouse-inspired design embellishments that add these rustic, early era details into shelf supports, ‘x’ styled cabinet endcaps and shiplap hood designs. 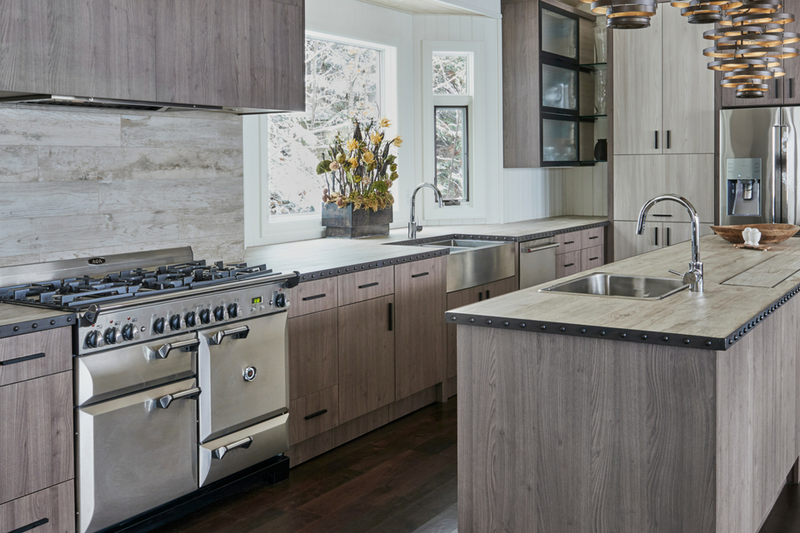 Diamond Cabinetry recently launched three new textured laminates in rustic, weathered finishes reminiscent of sun-bleached, weathered and walnut wood grain and tones that support the aged wood look, bringing authenticity to the modern farmhouse. Trends are shifting towards modernizing traditional design styles: like Tudor, Colonial, Craftsman, Cottage and more. 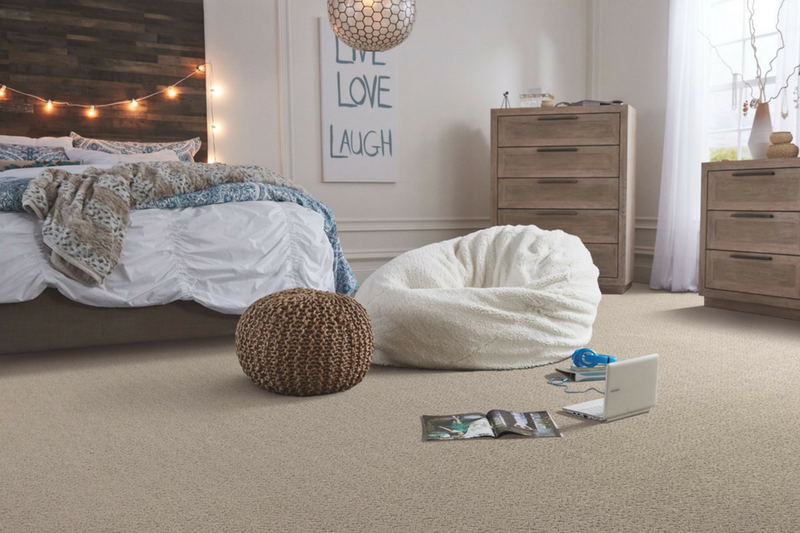 Traditional design has its appeal in classic textures, shapes, and even color combinations. Historically, when these styles were implemented they were best shown when the whole design environment held true to the tenants of these styles. Today, the modernization of the classics allows homeowners and designers to take elements of these styles that they find most appealing and play on those influences with a pared-back version that is less cluttered or heavily curated and more simplified for contemporary living. We see this manifesting in kitchens with elements like tall stack crowns that are free of the ornate curves and profiles but are still substantial and sleek; or in character details, such as legs inspired by mid-century modern design, but adapted to the scale of modern kitchens: keeping the lines as lean as you would expect with designs of that era. There’s been and still is in some cases a need for kitchen storage to be generic and multi-use. However, as consumer trends move towards more responsible buying for quality over quantity, or fad-driven gimmicks (like toasters that heat your bun and cook your hotdog,) the new homeowner is less concerned with ‘catch-all’ cabinet caves and ‘long-term’ storage of one-use small appliances: driven to look for high functionality and maximizing efficiency through accessibility. Pull-outs and drawer storage are key to these organizational trends with brands introducing integrated knife block and large utensil storage pull-outs, pantry organizer pullouts with OXO dry goods air-tight containers, and pull-outs for wall cabinets that sit above appliances, where accessibility and visibility had typically been limited and underutilized. These new types of storage enhance homeowner’s experiences in their kitchens by overcoming pain points associated with digging through drawers or into the back of cabinets. While neutral paints are key base colors for kitchen and bath, there’s more color influence in these spaces than we have seen in the last decade. We continue to watch new trends emerge in the usage of color and tones individuals are choosing. Gray typically counts as a neutral in how it is used in this industry, but there are some blue-grays such as Diamonds Moonstone, and of course greiges that are dominating some palettes as their primary color add to light stains or off-whites. The universal use of blues and greens continues to be the ‘go-to’ colors in 2018, whether they are being mixed with neutrals like we typically see in kitchens, or beings used as the dominate cabinetry choice in bathrooms. Dark tones, especially a navy like Diamond Maritime or Decora Mount Etna, have been widely used in 2017: the usage to softer hues reigns throughout the home in 2018, puts the spotlight on Interesting Aqua, North Star, Coastal Plains, and Sea Salt: all Sherwin Williams colors available through Decora’s standard color collection. Available at select locations, Carpet One Floor & Home offers an extensive kitchen and bath product line featuring MasterBrand cabinetry. Contact your local store for more information.